Come an join us for an illuminated Budapest Sightseeing cruise on the amazing river Danube in Budapest. Our newly renovated, a purple-white boat will take you for a special sightseeing tour from Dock 11 where you can board any time of the day starting from 11:00 AM (*from 1st of May, see schedule table below) until 9:00 PM. Please see the Departure time below. Tickets for the cruise are available HERE or at the place of boarding you can buy them or you can even request your receptionist at the hotel to book for your sightseeing cruise for Silverline Cruises. Riverbanks of the Danube will definitely show you their hidden faces which are visible only from our sightseeing cruises. Bridges over the river Danube were built in many rounds so that you will be fascinated by the architecture of Chain Bridge, Margaret Bridge – unique bridges over the river Danube. Budapest cruise next to Margaret Island will give you an opportunity to see locals walking and jogging on the island. A smooth turn around the Island will take you to the part of the city which would be hardly reached by foot. After leaving dock 11 the cruise will continue under two very famous bridges, one of them is the Chain Bridge with the guardian lions from the street sides, beautifully illuminated during the evening hours. Passing the Danube Promenade – Vigadó Square will free your mind and take you to the next modern bridge over the river Danube- Elisabeth Bridge. The dominant white color of the bridge connects the city into one. Above the bridge on Buda side of the river, you can see the statue of Szent Gellért after who the hill was named. On the top of the hill a beautiful woman of the Hungarians – the Liberty Statue is standing proudly with her arms open. Gellert hill is a great place to take a walk if you are a fun of light trackings but the better idea is to join us for a sightseeing cruise on the river Danube. Next little stop in time during your cruise will give you the view of the Liberty Bridge which is connecting Fővám Square and Gellért Spa on Buda side of the river Danube. The bridge is covered in a green color, decorated with many little details which might not be visible from the sightseeing cruise, highly recommended to take a walk on the bridge. On your 75 minutes ride on the cruise you will have a chance to have a nice glass of cold beer in the summer heat or a cup of tea in the winter months. 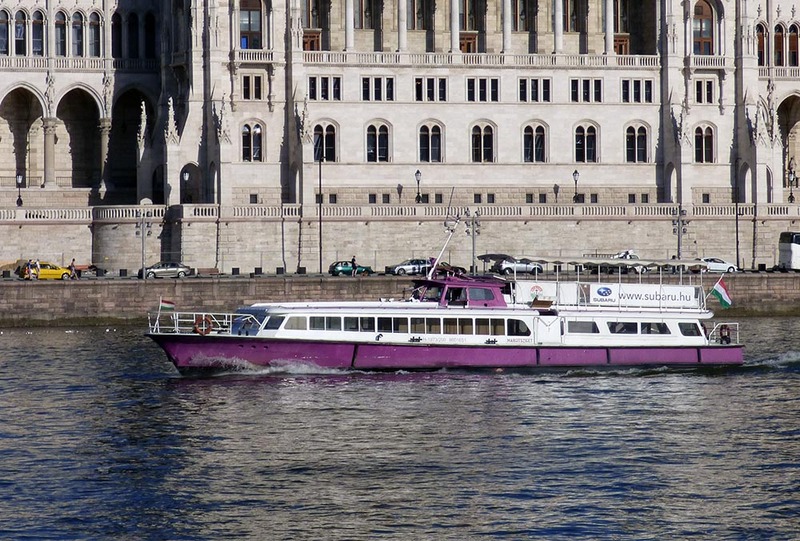 Sightseeing cruise is one of the best ways to see Budapest from a different point of view. Budapest is one of the most famous tourist targets in Europe since located in the heart of the continent because it has a mix of cultures and a mix of centuries' architecture as well. Beautiful buildings located on the river bank pretending they are inaccessible with their majestic look. To visit them on a bus tour or by walking around the city is a must, but how can you really define them only from 1 single perspective? Standing below the castle makes you feel absolutely different than having a look at the buildings from further away. Take a sightseeing tour on the Danube river and give them a chance to show you another side and atmosphere of their old-time message. The sunset is one of the most romantic parts of the day. It is never boring and the best part, that you can see it every day (well, based on the weather, because it is hard to see it on a foggy or rainy day) each city has a different face to show during the day, then during the sunset, until the sky became dark blue and the buildings are colored all in gold, namely the blue hour just a few minutes before everything turns to dark/black. We would definitely recommend watching at least 2 sunsets during your holiday in Budapest. And of course, have the perfect spots for you. One of them should be on the Gellért Hill, where you can see the city from above that is already a unique perspective itself to watch the city. And the other one should be definitely a river cruise since the view of the city revealed from the middle of the Danube is already unforgettable during the day, then imagine the colors when the sunset starts to paint with its golden, shining glitters. Or do you prefer sightseeing tours by night? 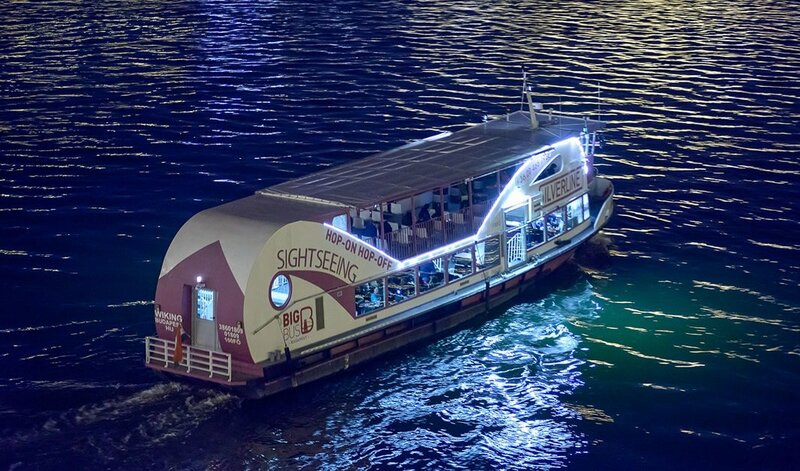 No problem as well, we offer you night cruises all year long in the center of Budapest, where the illuminated city shows its best side. Take one of our sightseeing cruises based on the Budapest sunset calendar and you can make sure to arrive for the best tour. It can be a perfect program just like a dessert after a nice, traditional hungarian dinner spent in one of the famous restaurants in Budapest. As an experienced traveler, you probably know the system of hop on hop off busses all around the world. This system allows you to visit once the main sightseeing points of Budapest, but you can take off the vehicle and have a walk when you find an interesting viewpoint. Then you wait for the next turn of the bus and join them for the rest of the tour. This is exactly what we offer to you on our sightseeing cruises. The only difference, making a sightseeing tour on the river is much more interesting than on the main lend. 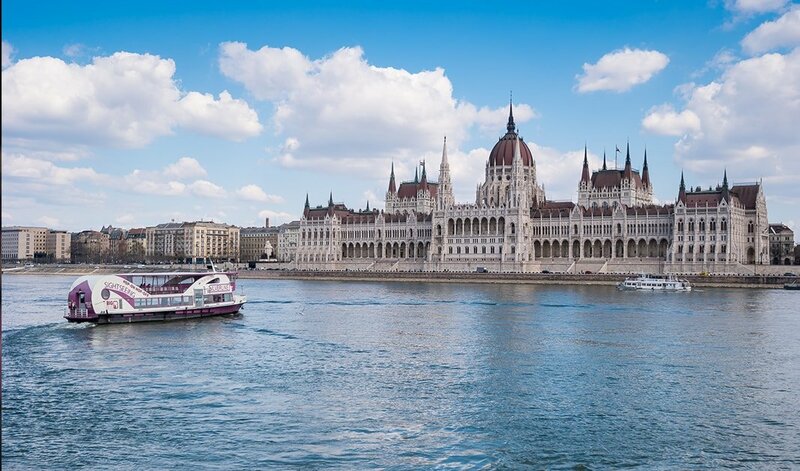 Join us at dock 11 and use the chance to leave the boat at Margaret island or on the way back on the opposite side of the Parliament, at Batthiány tér (perfect place to take pictures about the famous Parliament). Based on the season, pay attention to our timetable and join us on the next turn. Be carefully not to take off from the last turn at the evening.